Place potatoes in large pot and add just enough water to cover potatoes. Bring to boil and cook until fork tender. Drain and return potatoes back to pot. Add remaining ingredients except parsley. 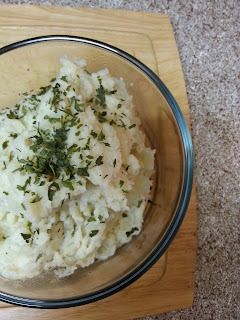 Mash potatoes using potato masher. Garnish with parsley.